Have you ever thought about how you could be less clumsy, and more graceful and elegant? Do you simply wish that you could be more confident while walking around outside? Ballet will provide you with these benefits, and you don’t need to become a ballerina to achieve them. I took a beginners ballet class of 3 months (twice per week) at the National School of Ballet of my country, and I absolutely loved the experience. This is the first time I have ever taken a proper dance class. Up until now, you could not force me to take any other dance class. I hated the idea of just dancing in general, and being embarrassed of my body movements. But these 3 months of experience have sucked out that negativity from me, and though I’m probably not going to jump into any other forms of dancing anytime soon, I am bound to continue ballet in the near future. 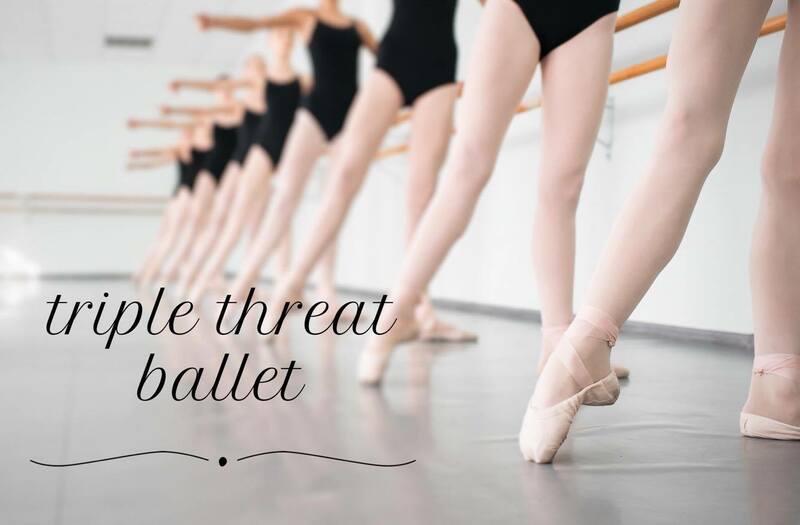 In just 3 short months, I took away a lot from my ballet classes, particularly three things: Ballet combines beauty, athleticism and intellect to shape you into an elegant and artistic individual. Of course, I’m neither elegant nor artistic, but I did have a taste of these benefits myself, which I’ll go into deeper detail below. 1. Ballet develops you into a more confident and elegant person. Everything that you see a ballerina doing onstage is practiced offstage as well. The light and graceful walks, the heads held high, and the strict poise all becomes part of our daily lifestyle once we’re used to them. You’re not likely to prance around in pointe and pirouette effortlessly unless you have years of training, but that’s okay. Ballet is not just about what you see onstage – it’s a lifestyle that you can adopt to shape yourself. 2. It is a well-balanced sport. I did not know what to expect of fitness at first. I mean, the way ballerinas dance onstage makes everything look so effortless. But a big part of ballet practices is composed of physical training: strength, flexibility, aerobic workouts and pain resistance (I don’t know if this is a ‘thing’, but I’m making it a thing here). My teacher constantly reiterated how our core (abs) is the most important thing in maintaining our poses, but every other part of our body is just as important. You need to be strong to hold a position for a few seconds; you need to be physically fit to literally just dance around without falling out of breath after a few tries; unless you’re completely flexible, your poses are going to end up clumsy and uncoordinated (me). The great thing is, you do all of these practices and exercises without building up excessive muscle like other sports. Ballet shapes your body into one that is lean but strong. That’s the beauty of it. 3. Ballet definitely improves your intelligence. I have been listening to classical music ever since I learned to play the cello (so, 10 years?) so though I’m not exactly a fanatic of this music genre, I do enjoy listening to it a great deal. In my ballet classes, we practiced our moves and poises to the rhythm of classical music. They were simple, but they trained our ears to get used to the different beats and stay on track. In other (advanced) classes, I often heard soothing pieces like the Prelude of Bach Suite No. 1 (cello version, funnily enough) and other familiar pieces. Ballet terms are all in beautiful French terminology, some of which I’m familiar with from my music education and French classes I took at school. To me, these factors enhanced my experience: I was learning a new art through mediums that I was already familiar with. To someone who’s not already familiar with any part of ballet, this may be harder to get used to (depending on the individual), but, the more challenging it is to you, the better you exercise your brain. Additionally, one of the things that I found most challenging was becoming ambidextrous. I used to be left-handed as a child, I believe, until my parents changed me to being right-handed (don’t ask why). I use my left-hand for strange tasks, but ballet is, unfortunately not one of them. This proved to be difficult when I had to practice twirls and jumps towards both directions. The coordination that you must have when carrying out these movements really challenges your brain. Obviously, the more you practice these moves, the more naturally they flow out from you until you’re used to them. When, in real life, do we ever practice ambidexterity to such extent? If you ever have the time and opportunity to learn a new dance but don’t know which style to start from, ballet is your starter. The preparation that you will receive will be beneficial on and off the dance floor, and I’m pretty certain the confidence that you gain here will make your experience with other dance styles easier.